Domitille Baizeau joined LALIVE in 2004 and has been practising dispute resolution for 23 years, exclusively in international arbitration (commercial and investment) since 2001. She has acted in more than 70 international disputes, as counsel and arbitrator (including presiding arbitrator), in administered arbitrations (including ICC, LCIA, SCC, Swiss Rules, UNCITRAL) and ad hoc proceedings, governed by various procedural and substantive laws, both common law and civil law, including English, Swiss, American, Swedish and French, and by international law. Her areas of specialization include joint venture, M&A, shareholders, sales, distribution and investment disputes in the energy (oil & gas, solar, mining), telecommunications, commodity trading, infrastructure projects and pharmaceutical sectors. Domitille Baizeau is a Member of the International Court of Arbitration of the ICC and is Vice President of the Arbitration Court of SCAI which administers arbitrations subject to the Swiss Rules of International Arbitration (member of the Court since 2010). She is also a member of the Board of ASA, the Swiss Arbitration Association (and former co-chair of ASA below 40), an officer of the European Users’ Council of the LCIA (and former co-chair of YIAG), a member of the Executive Committee of FIAA (Foundation for International Arbitration Advocacy) and a member of the Board of Directors and Executive Committee of Terralex, one of the world’s largest networks of independent law firms. She is in addition a member of the IBA (Arbitration Committee) and an Associate Member of the ICC Institute of World Business Law. She is listed on the panel of arbitrators of the ICC New Zealand Arbitration Committee, the ICC French National Committee and the ICDR. She regularly speaks at conferences and publishes in international arbitration and is a past member of the Editorial Boards of the ASA Bulletin and the ICC Bulletin. Domitille Baizeau has been ranked for several years by Chambers (Global-wide, Europe-wide and Switzerland) for International Arbitration, as counsel and arbitrator (including Most in Demand Arbitrators, Europe, Band 2), and by The International Who’s Who of Commercial Arbitration. In 2018, she received the GAR ART award of the Best Prepared and Most Responsive Arbitrator and in 2011, she was selected as one of 45 “leading figures” in international arbitration below the age of 45, both accolades following a peer-review process conducted by Global Arbitration Law Review. Before joining LALIVE, Domitille Baizeau practiced in litigation and arbitration in New Zealand with a leading business law firm and in France with Freshfields Bruckhaus Deringer in Paris. She graduated from the University of Canterbury in New Zealand in 1995 (LL.B. First Class Honours) and also holds a Diploma in French law from the Université Paris II Assas-Panthéon. Domitille Baizeau “impresses with the quality of her preparation and her proactive approach”, say interviewees. Sources say that Domitille Baizeau is "incredible to watch" in tribunals as well as "super well prepared." She is also reputed in the international market for her work as counsel in high-profile arbitrations in the energy, telecoms and pharmaceutical sectors. Awarded the 2018 GAR ART Award for Best Prepared and Most Responsive Arbitrator. Domitille Baizeau attracts praise for her work both as counsel and as arbitrator in significant international cases. "She has an extremely good understanding of both the commercial and the legal sides of a dispute," says one source, while another notes her demonstrable experience both as president and as co-arbitrator on arbitral panels. “She has a "huge amount of knowledge in the area of international arbitration and is very good at developing and pursuing overall strategy." Domitille Baizeau is always “super-prepared” and “absolutely fantastic” according to market sources, who commend her work both as arbitrator and counsel. “Really impressive, very active and a quick thinker.” She focuses on commercial and investment arbitration and is experienced acting as counsel and arbitrator under the governing rules of numerous international bodies. Domitille Baizeau is held in high regard for her expertise in investment and commercial arbitration in a variety of sectors and industries, and has acted on cases concerning the misappropriation of assets, joint ventures and sales of shares. One interviewee comments: "The way she runs arbitrations is very effective." She is admitted to practice in England and Wales. Domitille Baizeau is a “dispute resolution expert” known for her “solutions-oriented approach” to cases. Lalive is ‘in a league of its own’ regarding international arbitration and the ‘strength in depth of its first-class team is outstanding’. Among its ‘many exceptionally bright lawyers’ is the ‘excellent fighter’ Domitille Baizeau. 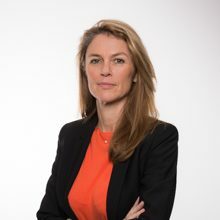 Domitille Baizeau is fully focused on international arbitration with a particular specialism in joint ventures, M&A, shareholders, sales, privatisation and investment disputes. She is seen as a “first-class” practitioner, with a “no-nonsense approach”; one peer adds that she is “an inspiration”. One source said : "I rate her very highly - she is a superb team player." Domitille Baizeau is an increasingly established presence in the international arbitration market, bringing her "straightforward and determined" approach to a variety of cases. Domitille Baizeau is “internationally renowned” in this sector. Geneva-based Domitille Baizeau is praised by sources for her "eye for detail." She handles disputes relating to pharmaceuticals, transport and construction, including contentious issues arising from distribution and sales, joint ventures and M&A. Domitille Baizeau has an international profile and an eye for detail which is much appreciated by interviewees. She works from the Geneva office and has wide experience of disputes in the telecoms, construction and energy sectors. International arbitration expert Domitille Baizeau is described as "an excellent lawyer." Her areas of expertise include M&A, construction and energy disputes. Domitille Baizeau is commended for her “ability to act as counsel, arbitrator and adviser with equal aplomb”. ‘Domitille Baizeau is ‘an energetic and confident lawyer’, say sources. ‘She goes to the heart of the matter and is capable of making complicated things easy. She provides concrete advice.’ Domitille Baizeau ‘is considered to be a leading figure in international arbitration’. The ‘brilliant’ Domitille Baizeau is a ‘real star’ who earns the appreciation of clients, counsel and arbitrators alike. Domitille Baizeau is ‘recognised at home and abroad as a ‘first-class counsel and arbitrator”. Domitille Baizeau is ‘very good at finding pragmatic solutions to problems’. ‘Domitille Baizeau is a key name in international arbitration and trade and investment law'. Domitille Baizeau is ‘building a reputation as one of the best around’. ‘A great lawyer, very skilful, professional, precise, co-operative’. Domitille Baizeau selected as one of 45 ‘leading figures’ in international arbitration below the age of 45. A ‘major player [ ] in Swiss arbitration’. Domitille Baizeau ‘attracting a great deal of praise: Her approach is fact-based, she gets to the point and prefers crisp, clear legal argument to a page- and time-filling approach’. For more information, please see the Juris site. London 30/11/2017 Domitille Baizeau Panellist: Myth-buster: Litigation funding unravelled. For more information, see the programme, Mrs Baizeau’s presentation and her speaking notes. For more information, see invitation and the report in Global Arbitration Review (GAR). For more information, see the programme and Ms Baizeau’s presentation. Her full article on the subject is being published in the 2016 ICCA Yearbook (Kluwer International). For more information, see Ms Baizeau’s PowerPoint presentation. Annual Conference: The Arbitrators' Initiative: When, Why and How Should It Be Used? For more information, see Ms Baizeau’s address. For more information see the course outline. For more information see the programme and presentation. For more information, see the attached programme. Bern 29/10/2012 Domitille Baizeau Speaker: The Emergency Arbitrator under the Revised Swiss Rules: a useful tool or fashionable gimmick? For more information, see Ms Baizeau’s presentation. International Arbitration: The Coming of a New Age for Asia (and Elsewhere). Annual Meeting - The Legal Reforms in France and Switzerland - What can we learn? For more information, see the programme and presentation. Stockholm 23/05/2011 Domitille Baizeau Speaker: Advocacy Skills and Ethical Considerations: Position changes and new evidence: ambush or justice? For more information, see the programme and the list of topics debated. See also more information on the members of the organising committee of ICCA50. For more information, see the programme and Ms Baizeau’s presentation. For more information, see the presentation and article by Ms Baizeau. For more information see the presentation of Ms Baizeau. For more information see the FIAA website. Stockholm 06/03/2009 Domitille Baizeau Speaker: An overview of the policies, issues, and legal framework. Moderator: Insolvency of a Party - the Impact on Arbitral Proceedings; Resolving the Issues in Practice - what do and should arbitrators do? and Special Issues. For more information see the conference programme and one of the presentations of Ms Baizeau. Confidentiality in International Arbitration: Myth or Reality? - Disposing of the Parties’ Dispute Quickly: The Parties’ Saving Grace or Worst Nightmare? Terms of Reference and Procedural Orders: what should be agreed or decided at the outset? - Enforcement of arbitral awards, whose problem is it?